The findings showed that only 0.5 percent of participants received irregular pulse notifications, an important finding given the concerns about potential over-notification. Eighty-four percent of the time participants who received irregular pulse notifications were found to be in atrial fibrillation at the time of the notification and 34 percent who followed up by using an ECG patch over a week later were found to have atrial fibrillation. 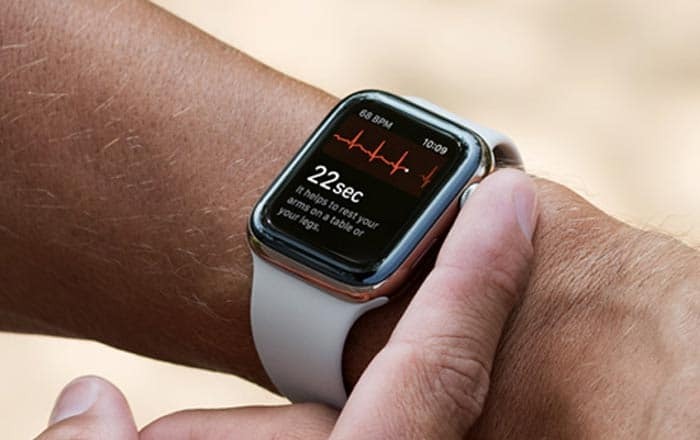 Comparisons between irregular pulse-detection on Apple Watch and simultaneous electrocardiography patch recordings showed the pulse detection algorithm has 71 percent positive predictive value. “The performance and accuracy we observed in this study provide important information as we seek to understand the potential impact of wearable technology on the health system,” noted Marco Perez, Associate Professor of cardiovascular medicine at Stanford.